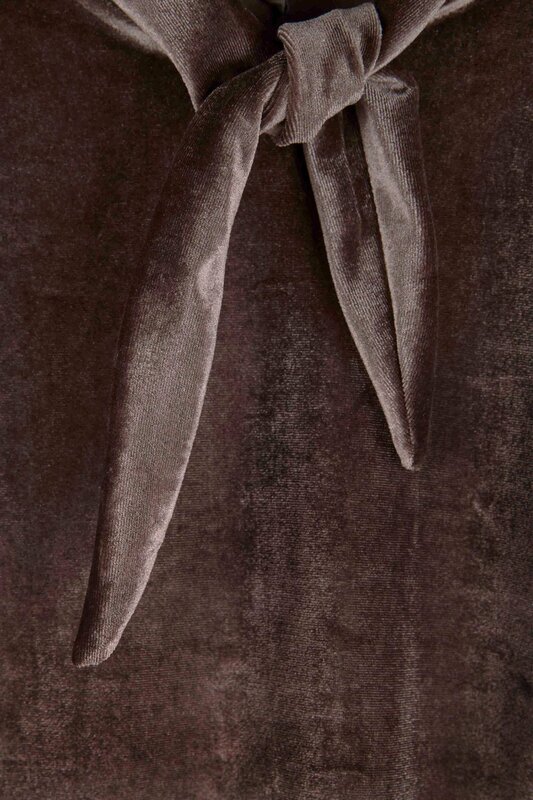 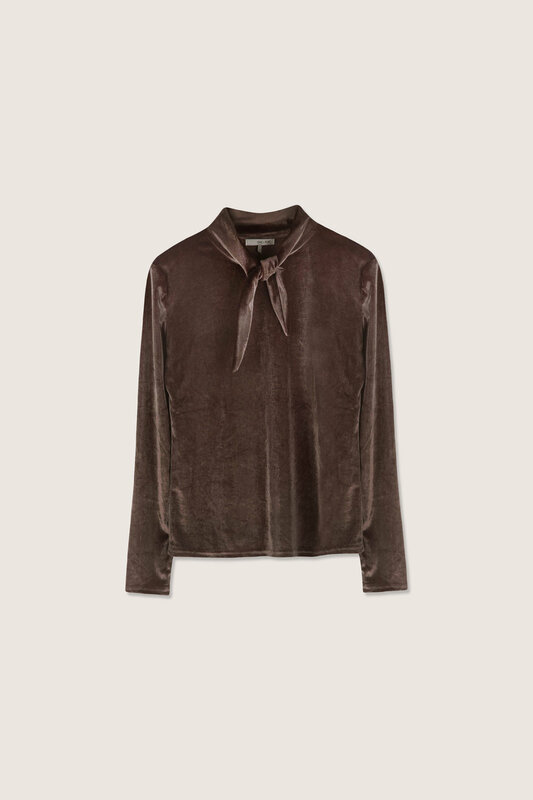 Featuring tie-detailing at the neck, this velvet t-shirt is feminine with an elevated touch. 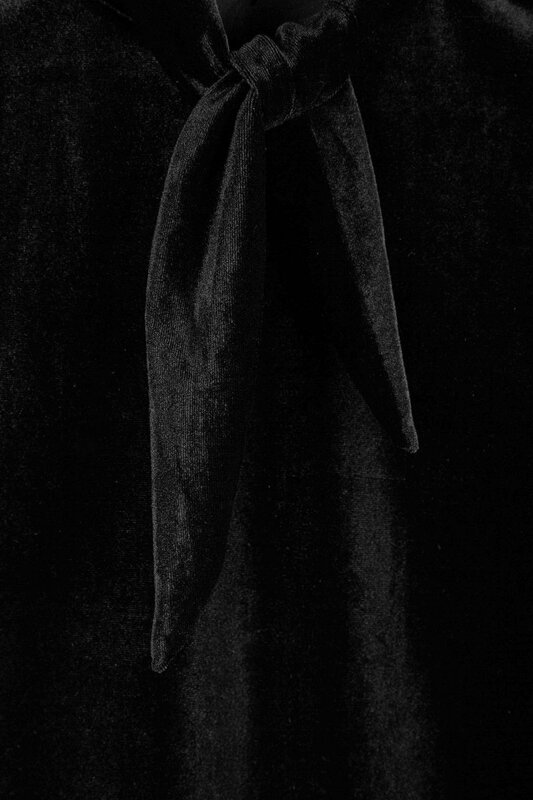 Minimal yet unique, this piece can easily be styled up or down. 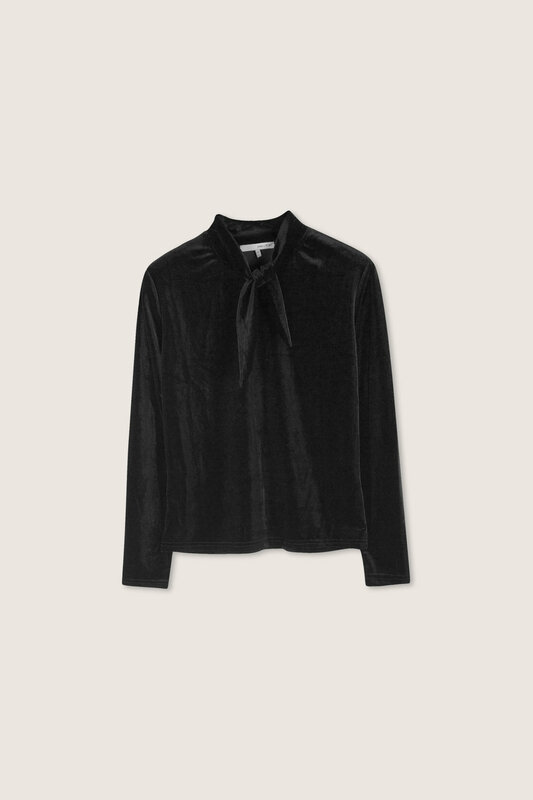 Pair with a mini skirt and heeled ankle boots for a chic evening look.